In this post I will attempt to explain what I think is the best way to feed your dog. After extensive research among veterinary nutritionists, published research and the Internet I have come to the conclusion that the perfect dog food does not exist. Each brand is unique and therefor brings something different to the bowl. Because of this I rotate the brands of food I feed my dogs. I don’t eat the exact same thing every day, so why would I feed my dogs like that. Dogs developed by eating whatever they could scavenge so it makes sense to me that their gastrointestinal (GI) tracts should always be digesting something a little different. Since every brand and type of food has a different combination of protein, carbohydrates, fats, vitamins and minerals; I can be confident that if one brand is lacking something another brand should make up for it (in theory). Just about every time my dogs eat they get a different combination of food. I have two to three bags of different types of dry food and an assortment of canned foods in my house at all times. I then alternate the dry foods and add in a scoop of canned food to make it a little bit more exciting. You are probably thinking that suddenly switching a dog’s food like that will result in a nasty bout of diarrhea. This is true if you feed the exact same thing every single day, but if the GI tract is used to being surprised then it adapts quite well. As I said my dogs get a different mix of food at every meal and they have lovely stool. In addition to their diet I also give all the dogs an omega-3 fatty acid supplement such as those found in fish oil. You can read in my previous post on fish oil and all the amazing benefits it provides to the body. 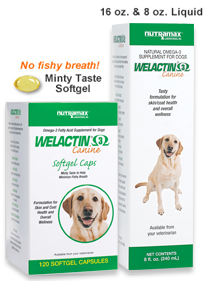 Dogs have a difficult time utilizing the fatty acids found in flax seed or oil so fish oil is a much better choice. There are a variety of human and veterinary products to choose from, just remember to find a reputable brand such as Nutramax or Nordic Naturals. Given the multiple pet food recalls some owners want to cook for their pets feeling this is a safer alternative to commercial foods. I never recommend feeding a home cooked meal unless the owner consults with a veterinary nutritionist or a website like www.balanceit.com. Without specific guidelines and supplements it is almost impossible to feed your dog a diet that meets all of his nutritional needs. Just throwing some meat and veggies into a bowl is not providing your dogs with the nutrients he needs and will result in health problems. Despite what many pet foods companies will tell you corn is a viable protein and carbohydrate source that provides many essential nutrients; it is not just filler. I have no problem feeding my dogs a diet that contains corn, however, I don’t want that to be the only grain they eat. This again illustrates why rotating diets is so important in giving your dog a balanced diet. Finally, the super high protein foods are not necessarily better. Dogs are omnivores like humans and are made to eat a combination of meat and plant material. These diets provide excess protein that you dog does not need and excreting these proteins creates increased work load on the kidneys. In animals that have decreased kidney function these high protein diets are actually harmful and can worsen progression of disease. I hope this helps you decide what is the best food for your dog; I know it can be overwhelming. Just remember there is no one best food and by rotating brands you have the best chance of providing your dog a complete and balanced diet.